In Boxing there are a few certainties that a fan can expect. For better or worse those certainties can involve elements of politics with rival promoters, television networks, fighters themselves, athletic commissions, and sanctioning organizations all playing a role in when significant fights in the sport take place. For the casual fan with only a sporadic interest in Boxing, it can indeed be confusing to keep track of all the elements that are involved in the sport. One such element that involves Boxing's respective sanctioning organizations is when a unification bout takes place. With so many elements in play and a landscape/structure that can appear confusing and frustrating for those who are not involved in the sport, it is truly rare when all the pieces of a puzzle fall into place. When everything does fall into place however, it can lead to history being made and at times, that history can have a more significant meaning than merely what happens inside the ring. The encounter for the Undisputed Women’s Middleweight world championship between undefeated world champions Christina Hammer and Claressa Shields was one such historic occasion. Much like other unification bouts throughout Boxing history, this fight brought together two of the best fighters in the sport with the aim of determining who is the best of the best. For the sport of Women’s Boxing however, this was a fight that meant much more than unifying a world championship to determine one Undisputed world champion. In one corner stood Claressa Shields, the only two-time Olympic Gold medalist in the history of the United States Boxing and an undefeated two-division world champion as a professional. Standing across the ring from Shields was Christina Hammer, a two-division world champion in her own right, who had more experience than Shields, but was also not well-known particularly among casual Boxing fans here in the United States. When you have an encounter between two undefeated world champions that in itself is often enough to generate interest, but when you have two of the best fighters in the sport facing off against each other it has the ingredients of something special. What appeared to be a genuine dislike between the two also fed into the anticipation for what was the most significant fight in the history of Women’s Boxing. It all culminated on April 13th when the two met at the legendary Boardwalk Hall in Atlantic City, NJ. What was a competitive fight in the early rounds gradually turned into a showcase for Shields. One of the main things that was noticeable about this fight in particular was Shields’ defense in being able to slip and use lateral movement to avoid much of Hammer’s offense. Although Hammer had success periodically throughout the fight, Shields’ sharper punches, accuracy, and defense were the story of the fight as she won a convincing ten round unanimous decision to become only the second Undisputed world champion in Women’s Boxing history following undefeated Welterweight world champion Cecilia Braekhus, who like Shields, ultimately unified her division. While there is not much analysis to discuss about this fight as one fighter was simply better than the other, the encounter between Claressa Shields and Christina Hammer will go down in history as a landmark moment in the history of Boxing. For many years the sport of Women’s Boxing has struggled for not only mainstream recognition, but also consistent television exposure particularly here in the United States. The fight between Shields and Hammer marked a significant shift as it was the first time that a major unification bout was not only televised, but promoted in a way similar to how Men’s bouts are. It is something that frankly has been long overdue and the sport of Women’s Boxing should benefit from it going forward. In the days that followed this fight this observer has taken some time to reflect on not only the fight itself, but how far Women’s Boxing has come. One subject that has surfaced that does not necessarily have anything to do with this fight itself, but more specifically the long-term future of the sport has been the topic of whether or not Women’s Boxing should move to three minute rounds and a twelve round distance for world championship fights as is the standard for Men’s bouts. Although I do not want to dive too much into this subject at this time, it is understandable how those who govern the sport from the respective sanctioning bodies as well as the athletic commissions around the world that regulate boxing might hesitate to make that move. Boxing is after all a combat sport and as such there are dangers attached to it. What should also be discussed however, is how the sport of Mixed Martial Arts (MMA) has the same rules, round limits, and structure for both Men’s and Women’s bouts. Non-title fights in MMA are scheduled for three five-minute rounds, which if fights go the distance last fifteen minutes. World championship fights are extended to five five-minute rounds, which means that if a world championship fight goes the distance in the last twenty-five minutes. While this is not intended as a direct comparison between Boxing and MMA, the rules are the same in MMA for everyone regardless of gender. One of the consistent issues in Women’s Boxing has been that because rounds are scheduled for two minutes in duration that it results in a lot of close fights and draws that often lead to rematches. Although it is understandable that those who govern and regulate Boxing might hesitate to adapt a similar approach to Women’s Boxing as has been done in MMA, this observer believes that fighters could benefit from at minimum the change to three minute rounds if not outright also adapting a twelve round distance for world championship fights. It is clear however, that Women’s Boxing has come a long way from the days of no television exposure at all, to the days of minimal exposure on the undercards of pay-per-view events, to outright being told that some networks do not televise Women’s bouts. It should not be overlooked that the final broadcast of Boxing on HBO after a forty-five year run in 2018 was headlined by Cecilia Braekhus defending her Undisputed Welterweight world championship against Aleksandra Lopes. While the various criticisms of the network by yours truly over the years in various publications/outlets is well known to longtime readers, it is also worth noting that for time HBO did televise Women’s bouts as part of their pay-per-view broadcasts, but it was only in 2018 that a women’s bout was broadcast on their main network. We are now in a time in the sport where not only are the methods that events are broadcast are changing in a gradual shift towards digital streaming, but for Women’s Boxing, more bouts are now being televised on a regular basis across both digital streaming platforms as well as traditional television than at any time in Boxing history. Even though some have called Claressa Shields’ victory over Christina Hammer lopsided in the days since the fight, the fight itself signaled a major victory for Women’s Boxing that is much bigger than simply who won the fight. With stars like Shields, Hammer, Katie Taylor, Heather Hardy, Cecilia Braekhus, and Amanda Serrano serving as the focal points for the current landscape of Women’s Boxing in addition to long overdue television exposure being offered to the sport, the potential growth and exposure for the sport into the long-term future is significant. This observer looks forward to seeing what happens next for Women’s Boxing. 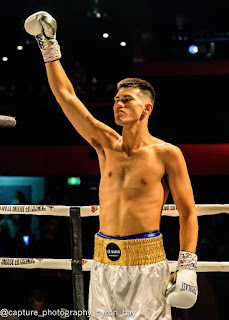 Press Release: April 17, 2019 By Dragon Fire Boxing – Billel Dib continued on his march towards a world title opportunity, as he produced a career-best performance against the tough Rey Juntilla, stopping the game Juntilla in round 8 in a fight that was dominated by the Australian Super Featherweight standout. Dib now solidifies a position in the world top 15 and opened up regarding his victory over Juntilla, and assesses what lies ahead. He said, "I thought I boxed very well and credit to Juntilla he really did come to fight and push me to my limits. I had a great camp with the Moloney's and Bruno and that really has pushed me to the next level and I believe I am a world level fighter and that will continue to show as I am still improving. "I have a high ranking now and I should have already boxed for a world title but politics prevented that. I want to fight for a world title in 2019 and I really believe I can bring a world title back to Australia in 2019. My time is now." The Super Featherweight division is crammed full of top talent at world level, and there are highly anticipated matchups to be made between the likes of Tevin Farmer, Gervonta Davis and many more. 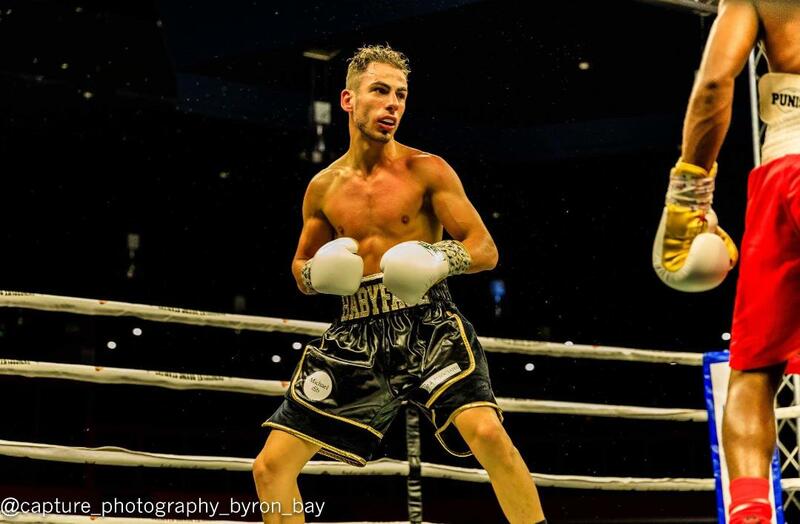 Dib assessed what he wants from the Super Featherweight division in the coming months and gave his view on the division as a whole. 'Babyface' said, "It's a fantastic division and really is full of elite fighters. I would obviously love a fight with the likes of Gervonta Davis or Tevin Farmer but I doubt they would want to fight me and risk losing big money as the fight between them wouldn't happen if I crashed the party. "I would like to fight Andrew Cancio who is the WBA World Champion. He is a great fighter and has a style that I believed gelled with mine would create absolute fireworks and that's what the public want - real and entertaining world title fights. 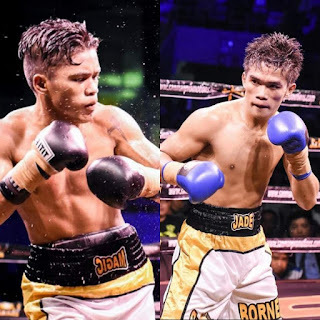 "I will travel anywhere to fight anyone it doesn't really bother me, but I feel that a fight against Cancio is the most realistic going forward and one that I would emerge victorious in given the opportunity." Material Courtesy of Dragon Fire Boxing/Photo Courtesy of: Byron Bay Capture Phtography Used with permission. Press Release: By DAZN – NEW YORK (April 16, 2019) -- It's a whole new ballgame for boxing's pound-for-pound superstar attraction GENNADY "GGG" GOLOVKIN! Golovkin (38-1-1, 34 KOs), from Karaganda, Kazakhstan, brings his Big Drama Show back to the "Mecca of Boxing" -- Madison Square Garden for the first time in over two years in his eagerly-awaited DAZN debut on Saturday, June 8. Golovkin, whose resume includes a record 20 consecutive middleweight title defenses (18 by way of knockout), has consistently drawn packed houses to the five previous events he has headlined at The Garden, dating back to 2013. He will rumble with undefeated Top-10 contender and Kronk Gym alumnus STEVE ROLLS (19-0, 10 KOs), from Toronto, Canada, in a battle, scheduled for 12 rounds, at a maximum weight of 164 lbs. Golovkin vs. Rolls kicks off the exclusive six-fight, three-year global partnership between GGG Promotions and DAZN, the world's fastest-growing sports streaming platform. Notably, this will be the second of two major boxing events The Garden will host on back-to-back boxing weekends – both of which will be live exclusively on DAZN. England's Anthony Joshua will make his United States and Madison Square Garden debut in a defense of his unified heavyweight title against Jarrell "Big Baby" Miller on June 1, just one week before Golovkin’s highly anticipated return on June 8. Golovkin, 37, has reigned supreme in the Middleweight Division for nearly a decade. Eighteen of his record 20 title defenses came by way of knockout -- a 90% ratio -- which is sure to remain the division's highest knockout percentage for a world champion. Golovkin's tenure as champion ended when he lost a hotly disputed majority decision in a rematch with Canelo Alvarez last September. A dominant amateur standout and Olympic Silver Medalist before turning professional in 2006, Golovkin's career has been on a historic trajectory, including a 23-fight victory-by-knockout streak and unifying the WBC, WBA, IBF and IBO World Middleweight Titles. Golovkin has also proven himself to be box office gold. He has sold out the most iconic arenas of the world, including Madison Square Garden, T-Mobile Arena, O2 Arena, The Fabulous Forum, and StubHub Center. DAZN is the largest global sports streaming platform in the world. Since launching in 2016, DAZN had expanded across four continents with the service available in the United States, Canada, Germany, Austria, Switzerland, Italy, Spain, Japan, and soon to debut in Brazil. DAZN guarantees no long-term contract, no bundles, just affordable access to all the service's sports on connected devices including smart TVs, smartphones, tablets, games consoles and PCs. In the U.S., DAZN has made its mark as an attractive alternative to pay-per-view within the combat sports industry. The platform features more than 100 fight nights per year from Matchroom Boxing, Golden Boy Promotions, GGG Promotions, Bellator MMA, the World Boxing Super Series and Combate Americas. DAZN also features live MLB action each day of the season with its new daily show, ChangeUp. 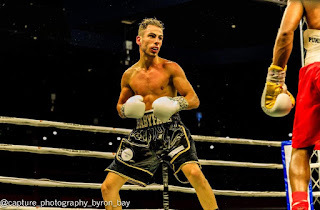 Press Release: April 16, 2019 By Dragon Fire Boxing – Reagan Dessaix is looking to bounce back from his extremely controversial loss against Blake Caparello as he looks to force the rematch by putting on an explosive performance against his next opponent Michaell Whitelaw who currently holds the Australia - New South Wales Light Heavyweight title when the pair contest the ANBF National title over 10 rounds on the June 15 edition of Boxing Mania. Dessaix discussed his defeat to Caparello and what he has done in the interim, "I had a little holiday but then straight back in the gym. I will tell you what has changed I'm getting better every single day I go to the gym. I'm 22, nobody has seen the best of me yet and to push a former IBO world champion in the way I did says a lot about my future. "I'm working hard every day in the gym I want to get better and better and when the rematch with Caparello happens I will show that I am the best Light Heavyweight in Australia definitely and I will go on to be the best Light Heavyweight in the world. It's up to Caparello if he wants to have a rematch under fair circumstances. I am waiting..."
The Tony Tolj guided fighter has the obstacle of Mitchell Whitelaw in his next outing, and The President discussed what challenges Whitelaw will oppose on his route to achieving his goal of being world champion. Dessaix said, "Mitchell is a strong fighter who will be coming to win so I have to be at the top of my game for it. I genuinely believe I am a level above him however and it will show when we clash. I am working harder than ever and I am going to put a show on for everyone and show why I am the best Light Heavyweight in Australia and a future world champion. "The Boxing Mania shows are always great to be a part of and to be on the sixth one along with the opportunity to become champion of my country is too. I can't wait to put on a show on June 15." Manager Tony Tolj also gave his take on his charge Dessaix, "Reagan is a great fighter he is really the future of Australian boxing. I felt he won the Blake Caparello fight and I know if they were to clash again Reagan would be victorious in a better fashion." Material Courtesy of: Dragon Fire Boxing/Photo Courtesy of: Byron Bay Capture Photography Used with permission. It would be hard to for one to dispute that unified WBO/WBA Lightweight world champion Vasyl Lomachenko hasn’t been one of the fastest rising stars in the sport of Boxing since his professional debut in October 2013. This of course, is understandable when talking about a fighter who is regarded as one of, if not the best amateur boxers of all-time. Prior to his first professional bout, Lomachenko registered an incredible amateur record of 396-1 finishing his amateur career by winning Olympic gold for the second consecutive time at the 2012 Olympics in London, England after previously winning gold in 2008. From his second professional fight in March 2014 on Lomachenko has competed exclusively in world championship fights with the lone defeat on his pro record coming in that first world championship fight in losing a decision to former world champion Orlando Salido. Although it is tempting to discuss Lomachenko’s rise in greater detail and also note that his quick rise to professional world champion in only three professional fights, what is also remarkable is he has won three world championships in three separate weight classes, becoming the fastest to accomplish that feat in just twelve professional fights when he stopped WBA Lightweight world champion Jorge Linares in February of last year after previously winning world titles in the Featherweight and Jr. Lightweight divisions. After defeating WBO Lightweight world champion Jose Pedraza to become a unified world champion in December of last year, Lomachenko was sidelined with an injured right shoulder, which required surgery. Despite wanting to continue to unify the Lightweight division by setting his sights on a unification bout against IBF world champion Richard Commey, the potential fight did not take place as Commey had suffered an injury to his right hand in his last fight in February of this year. Rather than sitting out for what would be a more lucrative fight, Lomachenko instead chose to fulfill his obligation by facing his mandatory challenger and former WBA Lightweight world champion Anthony Crolla on Friday night at the Staples Center in Los Angeles, CA. Although Crolla, who reigned as a world champion in the Lightweight division from 2015-2016 entered the fight as a significant underdog, the former world champion entered with a respectable record of 34-6-3, with 13 Knockouts and had won his previous three fights prior to challenging Lomachenko. What has bedeviled several of Lomachenko’s previous opponents is his ability to use angles to throw and land combinations. Despite being a heavy favorite over the challenger, I felt Crolla may have been able to provide the champion with a test. After all, despite losing his championship to Jorge Linares in September 2016 and failing to avenge that loss in a rematch in March 2017, Crolla is still one of the best Lightweights in the world and was not someone to take lightly. Despite winning thirty-four of forty-three previous bouts, Crolla was simply no match for the fighter affectionately referred to by Boxing fans as “Loma.” Lomachenko consistently pressed the action and frankly dominated the former world champion before a devastating right hook that appeared to land on the temple sent Crolla down and out at :58 of the fourth round. While some fans might be critical of Crolla for not being able to provide much resistance for Lomachenko despite being the top contender in the WBA’s Lightweight ratings, it is important to remember that before this fight Crolla had only been stopped once in his career and that stoppage came in his bout against Derry Mathews in a bout for the British Lightweight championship in April 2012. Sometimes a fight can be summed up by saying one fighter was superior to the other. In this observer’s eyes, this was one of those fights. Vasyl Lomachenko has established himself as an elite level fighter, who could well be at the top of some fans and observers’ respective pound for pound lists. Anthony Crolla is a world class fighter and former world champion who simply come up against a superior fighter who is highly skilled. Even though there wasn’t much to talk about regarding this fight, what might be interesting is what may be ahead for Lomachenko coming off of this victory. Obviously, when a fighter scores a knockout as Lomachenko did in this fight it will generate both buzz and interest in what might be next. With his WBA mandatory obligation out of the way for the time being, yours truly would like to see Lomachenko face Richard Commey next in a bout to further unify the Lightweight division. Perhaps the biggest fight that can be made currently in the division could be an encounter between Lomachenko and current WBC world champion Mikey Garcia. Garcia as most Boxing fans know recently lost his undefeated record in a failed attempt to win the IBF Welterweight world championship in losing a twelve round unanimous decision to undefeated world champion Errol Spence last month at AT&T Stadium in Dallas, TX. It is unclear as of this writing as to whether or not Garcia, who moved up two weight classes to challenge Spence will return to the 135lb Lightweight division. In terms of the current landscape of the Lightweight division, with the world championship of the International Boxing Organization (IBO) currently vacant, it leaves Lomachenko, the World Boxing Association (WBA)/World Boxing Organization (WBO) world champion, Richard Commey the International Boxing Federation (IBF) world champion, and Mikey Garcia the World Boxing Council (WBC) world champion atop of the division. While an obvious obstacle that exists, which may prevent full unification of the division from taking place in rival promoters not being keen on working together to make significant fights like unification bouts a reality, if there is enough demand from the public it will lead to fights taking place. Whether or not the Boxing world might see Lomachenko against Commey or Garcia later in 2019 remains to be seen. Vasyl Lomachenko however, has provided Boxing fans and experts alike with not only a memorable performance in his victory over Anthony Crolla, but also a strong argument as being the best of the best that the Lightweight division has to offer. Of course, Richard Commey, Mikey Garcia, and/or a contenders and prospects who have yet to emerge as players in the division might have something to say to dispute Lomachenko’s claim as being the number one Lightweight in the world. In this observer’s eyes however, until that time comes Vasyl Lomachenko is the top fighter in the division.